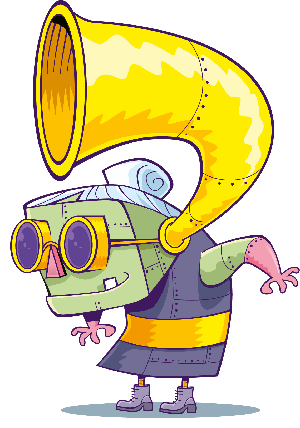 Meet Mike Goldwing from Capture the Flag! Mike is 12-years old, he loves surfing, and hanging out with his friends, Amy, Marty and Igor, the clever chameleon! Mike Goldwing is 12-years old, and he loves surfing at the beach and hanging out with his friends. But there’s something about Mike that’s a bit different to everyone else. His dad and his grandpa are astronauts! His grandpa, Frank, was once a really famous astronaut. But Frank missed his chance to go to the moon with Buzz Aldrin and Neil Armstrong, who were the first astronauts on the moon on the Apollo XI mission. Mike doesn’t see his grandpa much because he and his dad haven’t spoken in a long time. 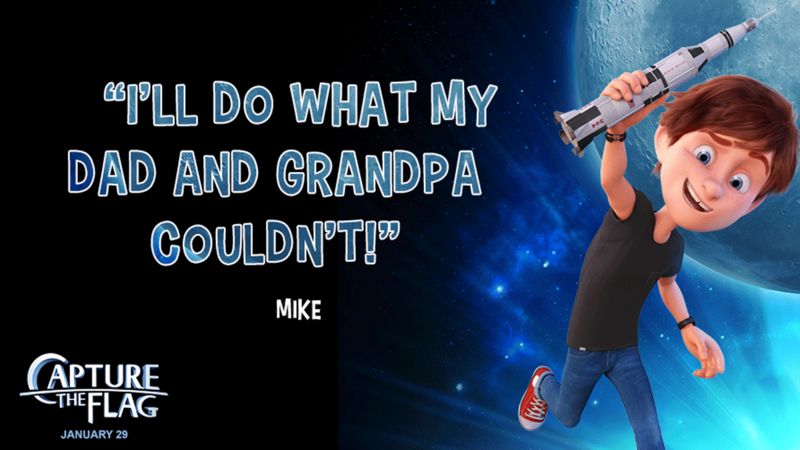 Mike would love to see his family all back together again, and he’d love to go to the moon, too! 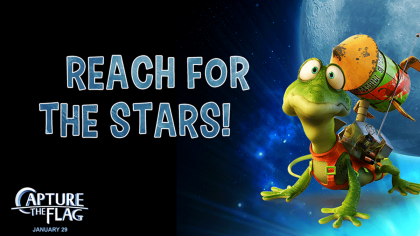 Cool space facts with Capture the Flag! Meet Amy from Capture the Flag! Well, that day comes sooner he thinks! 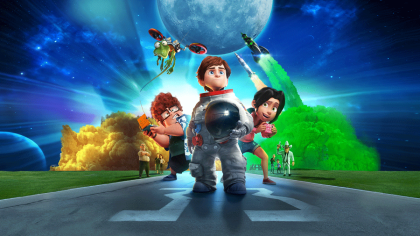 Mike steps up to save the day when a billionaire sets out an evil plan to mine the moon of all of its helium 3, a new renewable energy source, and destroy the American flag put there by Buzz and Niel Armstrong and the Apollo XI. 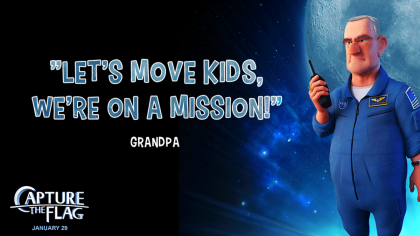 Mike and his friends decide to stowaway on the space shuttle with his grandpa and help save the moon! Capture the Flag is in cinemas now. Click here to find out more! Meet Igor from Capture the Flag! Meet Grandpa from Capture the Flag! 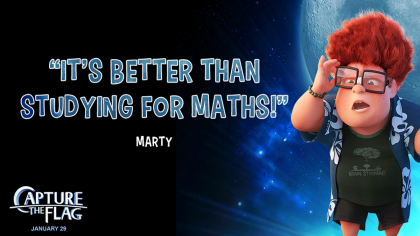 Meet Marty Farr from Capture the Flag! Meet everyone in Capture the Flag!